When it comes to managing your household budget and keeping your debts under control, there are two essentials you need to have in your financial tool kit: budgeting and saving. Accumulating savings to address multiple goals can help you reduce your reliance on debt to cover emergency expenses, as well as help you save for other longer term goals, like buying a home or saving for retirement. Is a heavy debt load getting in the way of you being able to achieve your financial goals? Pay that debt down so that you can move forward towards financial success. Call us at 1-888-294-3130 or check out our free online debt analysis. Invest? But I don’t have a lot of money? As you start to accumulate your savings, it’s a good idea to consider investing what you’ve got, so you can work towards growing your wealth. “There’s a common belief that investing is money management reserved for the wealthy, but contrary to popular belief, that isn’t true. Investing is based on a few basic principles, habits and ideologies. You can accomplish your financial goals even if you aren’t investing huge sums of money,” says Jeff Schwartz, Executive Director, Consolidated Credit Counseling Services of Canada. “However, like with other areas of money management, you are well advised to take time to become financially literate, meet with financial professionals that you trust and learn about all the different options that are available to you,” says Schwartz. To start, you need to nail down a few investing basics and key terms. Be specific when you’re setting your goals, and make sure you’ve got multiple goals to address various timelines. It’s important that you tailor your investing towards reaching your different goals, because different investments will have different objectives, level of risk and liquidity. It can also help to determine how much you’ll realistically need to reach your goals. For instance, how much do I need for a down payment on a house? How much money do I need saved to retire? How long before you would need access to your savings? That will impact how much risk you take on with your investments, as well as whether or not you put your savings into something that you need to be able to have quick and easy access to. Ideally, you should have cash savings that you can tap into for emergency expenses and then you can let savings grow to help you reach longer term objectives, like retirement or buying a home. One of the principles of investing basics is the relationship between risk and reward. In a nutshell, the higher risk you take with your investments, the higher the potential reward you could get in terms of return on your investment. However, on the flipside, you could also stand to lose some (or all) of your money in higher-risk investments (like some stocks, for instance). When deciding how much risk to take on with your investments, you should consider a couple of things. First, what is your personality? How do you feel about risk? Will you lose sleep if the value of your investments goes up and down in the short term? Second, you have to consider how much risk you can afford to take. How much debt do you currently have? Would the rest of your savings cover any shortfall that your higher risk investments might experience? One of the best ways to benefit from long term growth with riskier investments while still guarding a lot your savings is to diversify. That means you should have a mix of different investment types within your portfolio that have different levels of risk and usually different levels of liquidity (some with easy access when you need your money and some that should stay put for a longer timeline). This is a good time to consult with a financial professional who is properly trained and certified, that you trust and has your best interests at heart. They can assess your financial situation and suggest some different investment vehicles that will suit your goals properly and safely within the context of the rest of your financial situation. There is a common belief that RRSPs (Registered Retirement Savings Plans) are a type of investment. They aren’t. They are an “umbrella” for your investments and you choose which types of investments that you hold in them. You get to hold these investments tax-free until you withdraw them. You can also hold non- registered investments, but you will have to pay tax currently on the income that you generate from your savings. Below are the different asset classes of investments. Typically, an investor will hold a mix of all three. 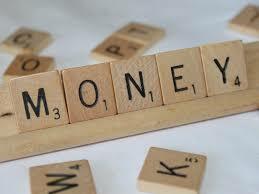 Cash or cash equivalent investments are just like they sound- cash. This is the part of your savings which you have available if you need to access it in a hurry. The benefit is that there is easy access and no risk. Types of investments that you might see in this category are savings accounts, money market funds or cashable GICs (Guaranteed Investment Certificates). The downside is that you don’t tend to make a significant return on your investment with just these investments. These types of investments are slightly higher risk and you tend to earn income from these. Types of investments under this asset class are Canada Savings Bonds, fixed income mutual funds and fixed term GICs. While you do earn more in this asset class, it’s not as easy to cash these in, so they are more appropriate for the longer term. Equities (also known as stocks) are the highest risk type of investments. The value of your stock is based on its worth on the stock market that it is being traded. While these are most definitely higher risk, you do have a chance to generate more return. Often people will have at least a small portion of their investments in stocks, for the longer term, because it can help your money grow. Once you’ve decided what types of investments will work for you, arrange to contribute to them automatically. That way you establish the habit of regular savings that will help your wealth grow.